You may have seen recent tweets I've been banging on about Wagamama's new dietary information in the restaurants. 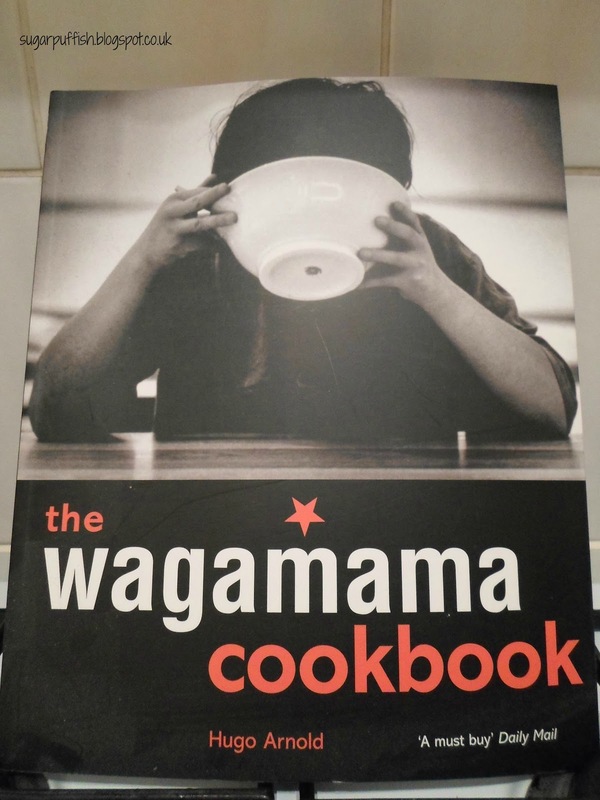 I like Wagamama food and I like the way they can accommodate my allergies so that is why I am a big fan. Other chain restaurants are not always willing to modify a meal to remove allergens, mainly because it's pre-packaged then reheated. Recent trips to Wagamama have become a little bit daunting. I'm not sure how many of you were aware of this but if you ask for allergen information you are presented with a folder. Within this folder it lists out all the allergens and dishes and modifications that can be made to a meal. At some point in time Wagamama have decided to update their folder and turned it into two. Confused? Yes me too. Let me see if I can explain this (silly me should have taken pictures). Folder one contains a checklist table. The top row of the table lists individual meals (e.g Katsu Curry, Yasi Cha Han). Down the sides column are common allergens. You need to look down the column under your chosen dish and if there is a tick in the box next to your allergen you are good to go. If you see NO then you sit there weeping but if you see NO in a blue shaded box you can have a modification. Now this is where you can look at the second folder. This time the information is categorised by allergen. The tables list dishes by numbers (not names) and next to it you can see what needs to be removed from the dish to make it suitable for you. For example, Yasi Cha Han I have to remove the egg and pickles. Now I can see some benefits to all this and some of my complaint comes from being taken out of my comfort zone. I knew what to look for so I am now relearning the format. I also think some dishes may have changed recipes so I can't rely on previous experience. Yasi Cha Han always came with pickles but now I can't have them. Under the milk allergy chart it says they have to be removed. From memory it was my Gluten Free sister who always had to forgo pickles. I'd love to know why these are not suitable for a milk allergy. Don't get me wrong it's not a bad thing Wagamama updated this information. Just be warned you will need a good 20 minutes to get your head around it on the first visit. I thought it was me being a little stupid but I visited again with a Gluten Free friend. We struggled and even managed to confuse the Waiter. Also Gluten Free is now listed as Cereals. Is that common place for GF people? I've never noticed that before. I've also found a flaw with the new online menu. There is a "dietary menu filter" and if I indicate for egg and milk allergy Yasi Cha Han is not listed. That could be misleading to customers because with a modification the meal may be suitable. For a second I thought I could no longer have my favourite dishes.